Is your content in the right format ? Can the Search Engines manage their way through your website ? can mean exposing thousands of additional pages for indexing and ultimately for consultation by the end user. Before you start be warned: this is going to be a lengthy process that will take months before you see improvement. There’s no quick fix to getting millions of pages indexed by search engines. In most cases whatever you pull out of your hat after reading this post isn’t going to work first time around in most cases, because your dealing with a living body (the website) undergoing constant change implemented by different people over the years and you don’t have any documentation: I am yet to walk onto a project where there is documentation describing website architecture, database, URL structure … nobody does it. 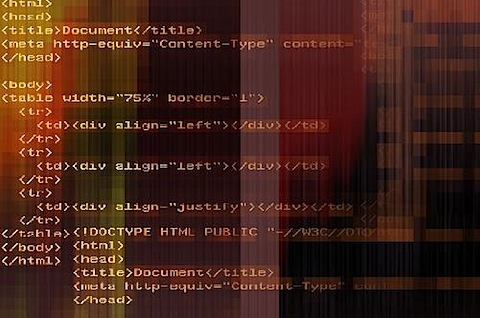 If your website has been online for some time there are going to be different layers of programming, coded by different people all with different approaches and different skills. Getting Started: What should you do first off ? Putting order in the content. Run an inventory on your website. How many pages are there in your website ? You need a ballpark figure. 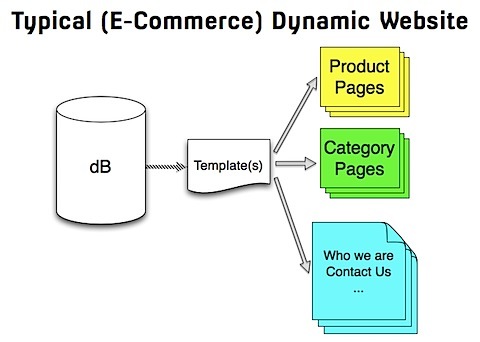 Start by counting the number of products you host, add generic description pages. 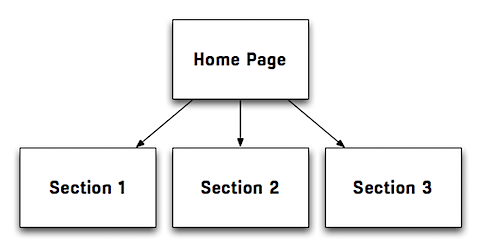 Create a simple organizational chart identifying the different sections your website can be broken down into and map the variables used to identify section/sub-section/product and whatever other details or features which identify each and every page of the section. Compare your figures to those found on the search engines when you run a site: query. Let’s say the site: command returns 210,275. How can it possibly be there are more pages ? 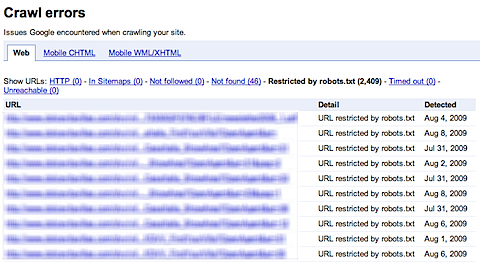 Before you put in place specific robots.txt instructions create a Google Webmaster Tools account. 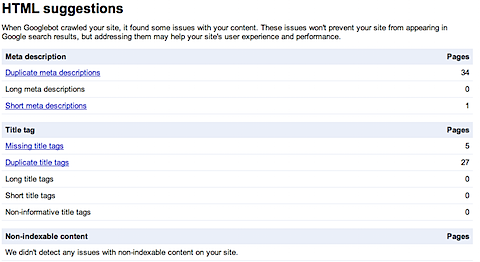 wait some days, at least 1 week if not more, depending on how frequently spiders are visiting your website. Check your Google Cache – if the latest archive copy of your home page is older than 1 week then wait at least 1 month before implementing any modifications. This is the only way you can document and observe the impact of changes. Now consider the other end of the spectrum, the site: command returns a less than expected number of pages. Start simple and pretend you were a search engine spider – use Lynx to surf your website and see just what the search engines are seeing: if your links are visible the search engines are following them, otherwise there could be a problem. Yesterday it was a technical problem creating the barrier between you and your users, today the search engines are willing to put that content under your prospects nose BUT at a price: everything has to be in tip top shape, and you’re falling short of search engine quality standards. Standard Content Management Systems sometimes do not allow web masters to create unique tags for each page and this is a major obstacle between your content and users. How many pages have been indexed ? How many pages are there in your website ? How many pages are there in each section ? How many pages of each section have been indexed ? Do you have an internal search engine ? If the answer is YES, then have those pages been indexed ? How many search pages have been indexed ? Which are the variables you can use to identify the search results pages being indexed ? Which are the filtering criteria required to prevent these pages from being crawled ? Are there pages with duplicate content issues ? Which pages present duplicate <TITLE> tags ? Which pages present duplicate META DESCRIPTION tags ? Is your CMS Search Engine Friendly ? Are you allowed to create unique META TAGS for each page ? What corrective actions are required which would allow you to create unique META TAGS for each page ? What is your current crawling rate prior to implementing any corrective actions ? What was the number the site: command returned before implementing corrective actions ? See you here tomorrow. In my next post, Large Website Indexing: How to get Lage Websites Indexed, Part 2, I’ll take you one step further in understanding how all can work for you and considerably increase exposure of your content. Excellent article! It’s very descriptive with much needed illustrations. Thank you.